Can the Power of Prayer Be Proven? .Throughout time, the power of prayer has been questioned by science. The analytical mind of the scientist calls for proof of the existence of a higher being. These scientists, both the faithful and nonbelievers alike, have produced studies into the affects of prayer on our physical as well as spiritual well being. Although most of us, who possess the belief that prayer can and does work, do not require physical, quantitative proof of the power of prayer, it is interesting to read the results of these studies. One of the most quoted scientific studies of prayer was done between August of 1982 and May of 1983. 393 patients in the San Francisco General Hospital’s Coronary Care Unit participated in a double blind study to assess the therapeutic effects of intercessory prayer. Patients were randomly selected by computer to either receive or not receive intercessory prayer. All participants in the study, including patients, doctors, and the conductor of the study himself remained blind throughout the study, To guard against biasing the study, the patients were not contacted again after it was decided which group would be prayed for, and which group would not. In the Essence Magazine May 1997 issue, Allison Abner writes that African-Americans have historically turned to faith in times of illness and other crises. She cited Luisah Teish who states: “Because of limited access to quality health care and our distrust of the medical establishment we have occasionally relied on spiritual healing through such practices as prayer and the laying on of hands, Most of us, at some time have used prayer chanting or proverbs as ways to guide, direct, and heal ourselves.” “Now,” states Allison, “Our beliefs are being backed by medical research,” Science is setting out to prove what most of the faithful already know–prayer does work. The December 1998 issue of Mc Call’s Magazine raised the question: How does prayer heal? The article notes a study done at the Virginia Commonwealth University Medical College of Virginia in Richmond, which studied 1,902 twins. They found that those who were committed to their spiritual lives tended to have less severe depression and a lower risk of addiction to cigarettes or alcohol. The healthful lifestyles of the spiritually rich and faithful clearly contribute to their well being, They tend not to smoke or drink or not do either excessively. Their marriages are more stable and their spiritual communities form a network that can catch and support people when they are ill.
To delve into religious attitudes and their impact on health, Koenig and his co-researcher, Kenneth Paragament, Ph.D., a professor of psychology at Bowling Green State University in Ohio, studied 577 hospital patients age 55 and older. One 98-year-old woman with pneumonia and congestive heart failure looked upon her illness as God’s plan for her. She prayed often for the health and well being of her family and friends. These attitudes were associated with a serene response to stress and low levels of depression. All signs of well being that nurture joy in living might even extend one’s life. While positive feelings toward a higher power seemed to foster well being, negative thoughts about a deity had the opposite effect. For example, a woman in her late 50’s with lung cancer left her church in her 20’s, became involved with drugs, and now feels her illness must be a sign of divine disapproval. She got poorer scores on tests that measured quality of life and psychological health than the 98-year-old woman. at experiments with microorganisms. He states, “Skeptics who do not believe in the effects of distant intentions say that any observed result must be due to the expectation of the subject- or the power of belief and thought.” Dossey argues that if bacteria respond to outside intentions by growing more slowly when prayed over, than control groups not receiving prayer, then one cannot dismiss this result by attributing it to negative suggestion. In studies involving microbes, this notorious “Problem of Extraneous Prayer” is totally overcome because one can be reasonably certain that the bacteria, fungi, or yeast in a control group will not pray for themselves. And that their fellow microbes will not pray for them. The fact that prayer is non local, that it functions at a distance, and that spatial separation does not diminish the affect means that it does not have to be intrusive. 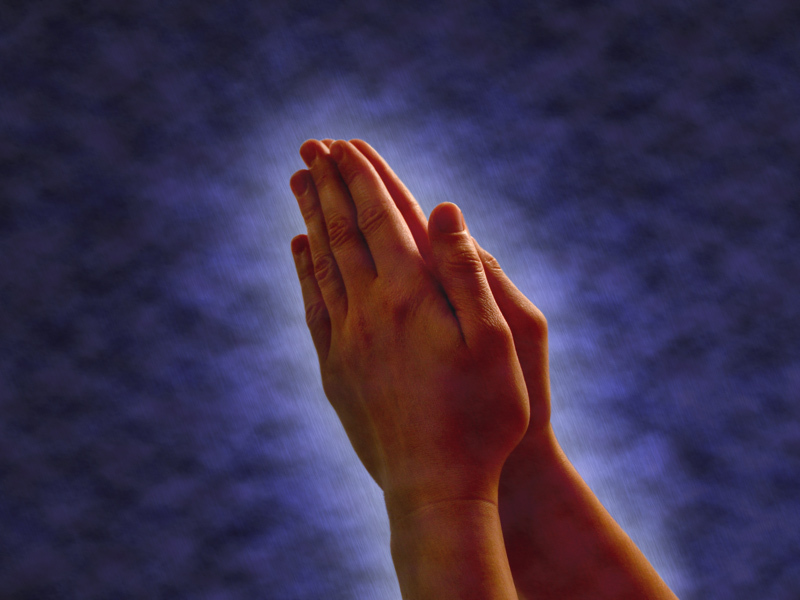 There is cross-cultural evidence that prayer does work. The factors that seem to affect the outcome of these studies are qualifies of consciousness, like caring, compassion, empathy, and love. When you take these qualities away the outcome of the study is changed. In, fact according to Dr. Dossey, if you flip these “empathetic, warm feelings” to the negative, frequently the subject is affected. In experiments a bacterium died and plants withered when subjected to the negative influence. ← Are you a sugarholic?